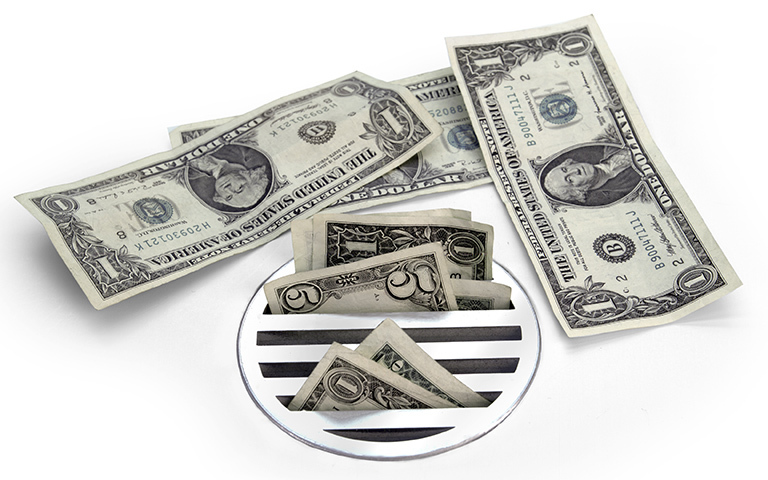 As wastewater treatment regulations continue to get more restrictive, plant superintendents can’t afford to make costly mistakes. They must carefully consider which biological treatment technology to invest in. A number of these solutions – suspended growth treatment, membrane bioreactors and various configurations of moving bed biofilm reactors – have limitations, which may only become apparent after a system is financed, built and operational. Suspended growth activated sludge treatment technology is the most common form of biological wastewater treatment in use today. In this approach, the wastewater and microorganisms are completely mixed, resulting in the formation of biological floc that settles out of the wastewater, creating waste-activated sludge. A portion of the sludge is returned to the influent of the treatment process to retain adequate microorganisms required to perform the treatment. Inability to handle highly variable waste stream characteristics (flow and/or loadings). Volumes greater than the design flow can result in microorganism being washed out of the system. As the loading increases or decreases, the adjustment of higher or lower levels of microorganisms requires time. Depending on the severity of the increase or decrease, reduced efficiency and potential settling issues can arise. Sludge production for suspended growth systems create significantly more sludge than a well-designed biofilm system, which adds operational costs for its handling, storage and disposal. These systems may require additional energy, operational oversight and maintenance to produce a desired effluent quality. Process parameters must be well controlled to assure dependable results. Membrane bioreactor (MBR) technology combines a suspended-activated sludge process with membrane filtration. It uses microporous membranes to separate solids and liquids instead of secondary clarifiers. Aeration limitations: Due to the high mixed liquor suspended solid concentrations the oxygen demand of the biomass may be very high. At the same time, the thick, high viscosity sludge mass may make it hard for oxygen transfer to take place. To reduce or prevent membrane fouling due to interactions between the mixed liquor and the membranes, air scouring is required. The cleaning process is a routine requirement for optimized performance. MBR systems tend to have higher capital and operating costs because of the need for frequent membrane cleaning and replacement. Air scouring is also required to control bacterial growth on the membrane. The moving bed biofilm reactor process uses floating media carriers within the aeration and anoxic tanks. The microorganisms on the surface of these “carriers” consume organic waste. The media provides increased surface area for the biological microorganisms to attach and grow. A combination of suspended growth and fixed film technology. Control of systems require high-quality operators and sound design to prevent media loss. Energy consumption is typically higher to keep carriers in suspension as well as to control operation and maintenance costs. Fixed film media carriers have a tendency to wash out of the systems over time, even when various types of strainers systems have been installed. A treatment option gaining popularity that doesn’t suffer from these shortcomings is the stationary fixed media attached growth process. In this treatment method, media is used to grow and maintain populations of microbes, creating a biofilm. Aquarius Technologies, LLC (Aquarius) offers the Nebula MultiStage Biofilm System. It uses a proprietary plug flow process with multiple stages to progressively biologically treat the wastewater. Each treatment utilizes stationary biofilm media and creates a unique environment for growing different microbial populations. Successive stages of biofilm media create separate microbial living conditions and food sources within the process, resulting in a highly effective food chain. They may require additional land area. Of all types of biological wastewater treatment technology, an attached growth biological system has the lowest cost of ownership in the right application. The Nebula MultiStage Biofilm System produces up to 80% less sludge than suspended growth systems when designed for sludge minimization, resulting in big savings in sludge handling, storage and disposal costs. The process has no moving parts and therefore is very low maintenance. The biofilm media racks are maintained in-place during the air scour procedure and the media is estimated to last for decades. The only replacement parts are associated with the diffused aeration system diffuser elements, which are typically replaced every seven to ten years. Learn More: Check out the Nebula MultiStage Biofilm System in action, view the project gallery. This entry was posted in Wastewater Treatment and tagged biological wastewater treatment, fixed biofilm, Nebula.